Sunday? Sun Day! – Brown is the new black. I love talking about sunscreens, but I haven’t mentioned after care. AFTER CARE? More stuff to worry about?! Not really. More like a plan of action if you’ve spent too much time in the sun. I’ll never forget the images of the girls in college who would spend all afternoon trying to get tanned before heading home for summer. They would sprawl out on blankets, spritzing themselves with baby oil or Ban du Soleil, Then after dinner, they would suffer from sun poisoning, shivering under those blankets and spraying each other with homemade remedies of black tea and pickle juice. 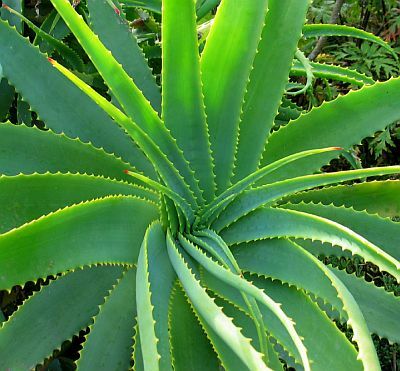 I love Aloe Vera. Just don’t grab the first bottle you see on the shelves. Make sure it doesn’t contain alcohol, or you won’t like how it feels on your (or your intended’s) skin. If your skin is very dry, you may want to follow up with calendula. It’s an anti-inflammatory, and is quite soothing. Check out your local organic store for options, Another wonderful option is yogurt. It really cools down the skin quickly and easily rinsed off in the shower. Plain, full-fat or Greek style is best. If you have them on hand, mashed cucumber can soothe skin, as well as whole milk. Back to tea. The tannin in black tea are an anti-inflammatory, so it does work; it just takes time to cool it down after brewing. Drinking plenty of fluids does help, but avoid caffeinated beverages or sport drinks. They can encourage dehydration. Lastly, if you can, take an anti-inflammatory like ibuprofen to decrease any discomfort.